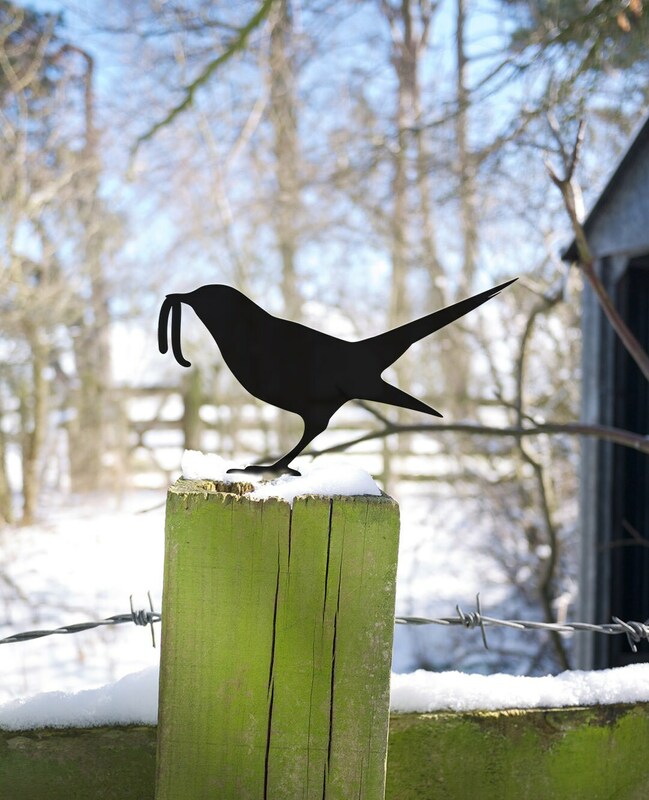 Garden Bird Yard Art Lawn Ornament Gift. The Early Bird catches the Worm. 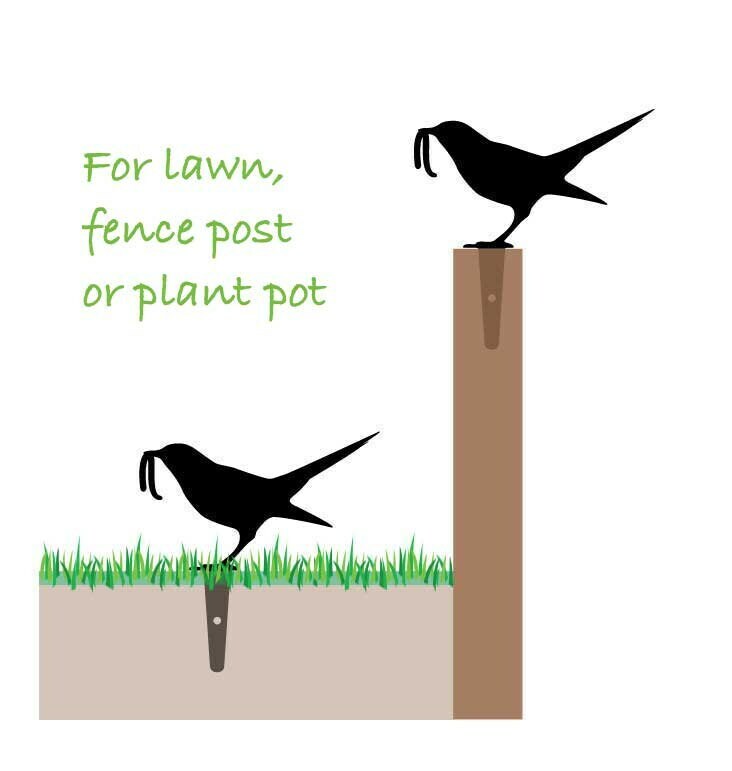 This hungry bird lives in your garden, in the ground, in a plant pot or screwed to a fence or balcony. 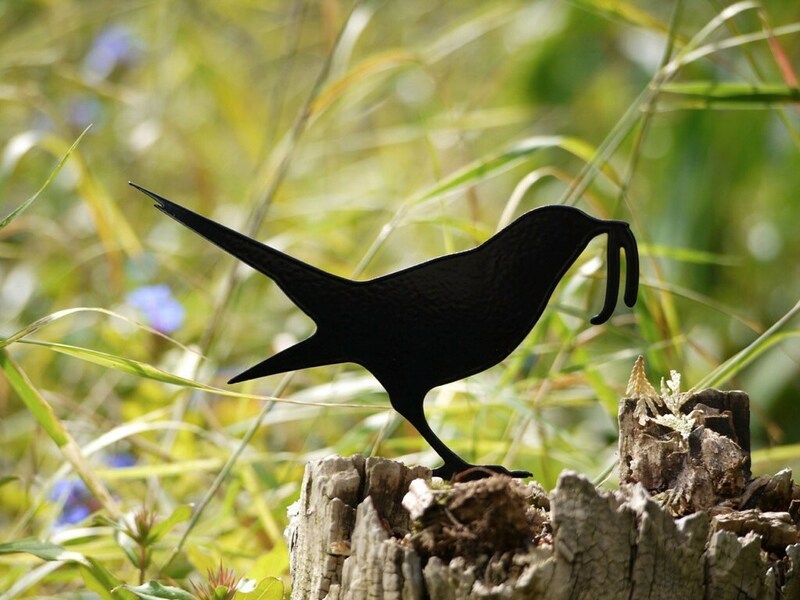 He is made from 2.5mm powder-coated black steel and is suitable to go in the earth between the flowers or into the lawn (in a safe place !). 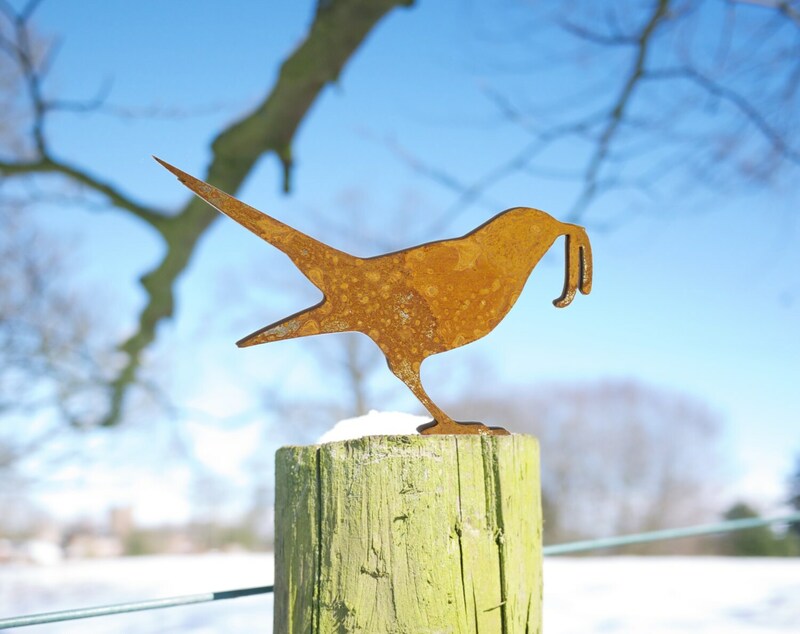 This delightful garden bird ornament has 1 screw hole, so he can also live on top of a fence, a gate or a post box. (no screws are supplied). approx. 7" x 9" x 0.1"
very sweet little bird - he looks lovely sitting in my pot !! Arrived SO quickly after a great bit of correspondence from the bird meister himself! 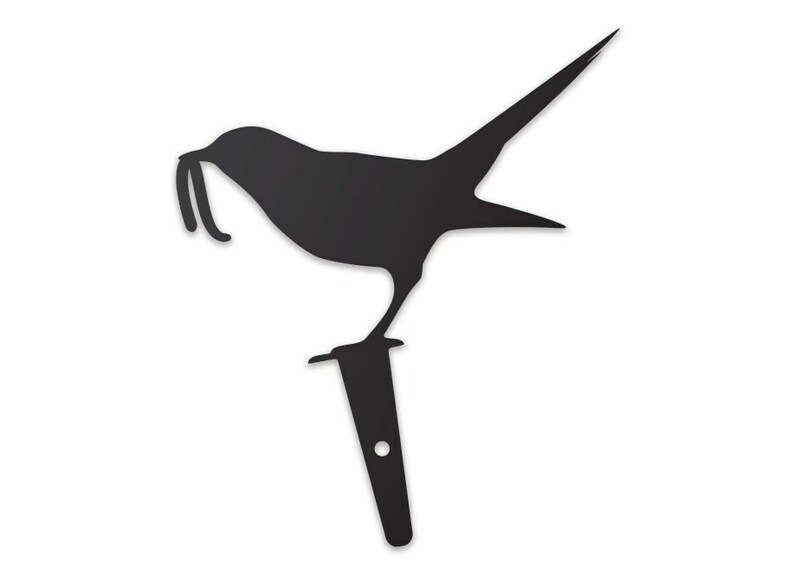 Really thrilled with my little blackbird.... He's on my larch fence and you have to do a double take every time it catches youe eye. Did I mentioned I was thrilled??? LOVE it... Thanks Jolyon!